Google Play has a reputation as the wild west of app stores for better or worse. Google has implemented some new policies to try to change the “or worse” part and clean up the store. 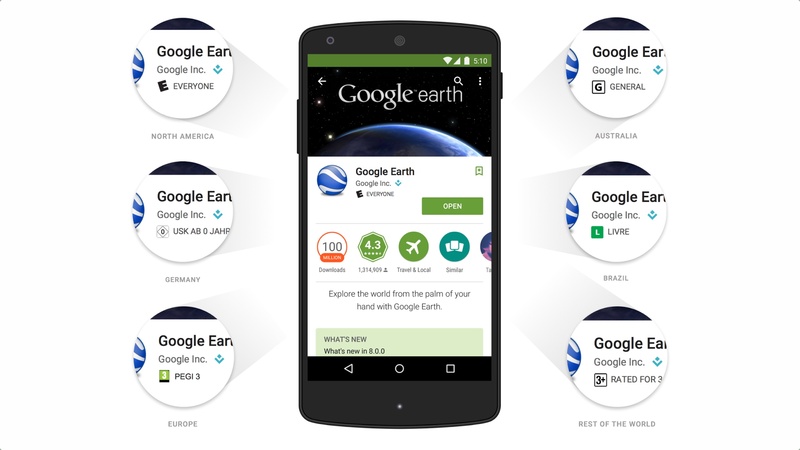 Announced today, Google will be implementing both manual app reviews and content ratings on its apps. Let’s talk about how they’re doing it and it what it means to you, the end user. While it as been in place for a couple months, Google formally announced that they are doing full reviews of apps to make a better Google Play Store. The company says its review process has been well received by developers and app reviewers and the process only takes a few hours compared to a few days or even several weeks. With an app rejection, Google also tells developers exactly why the app was rejected so conflicts can be easily fixed. The process takes it closer to the security of Apple’s app store without the mystery that can sometimes happen in the review process. There is also another reason to take a look at apps, ratings. Google is implementing International Age Rating Coalition ratings into its apps. IARC is s coalition of the ESRB of the US and Canada, PEGI of Europe, USK of Germany, ACB of Australia, and ClassInd of Brazil. It’s not a world rating standard exactly, but a single interface to receive ratings from the 5 distinct review boards from a single interface without having to go to each of them individually. There is also a generic ratings system for countries without their own rating system. After May, to remain in the Google Play store, developers must submit a ratings questionnaire to introduce a new app or update an older one. Apps can remain unrated, but may face restrictions based on age and market. What do you think of Google’s plans to curate the Google Play store and introduce ratings? Let us know. I think this is a turn in the right direction for Google. We rarely see malware in the Apple app Store. But not so the play store is a hay day for crackers and flashlight apps that have access to all the phone’s data. While I support an open platform that should allow anyone to install anything they want on their devices, but this shouldn’t be served to the public in the play store as legitimate apps.